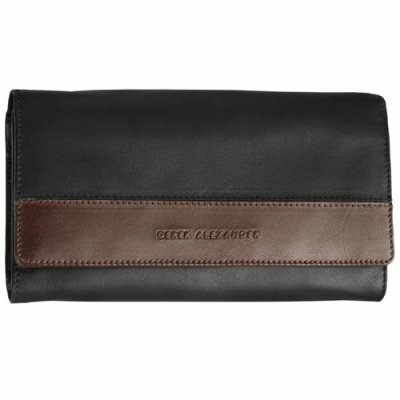 This wallet is a great choice if you need a lot of room and organization. 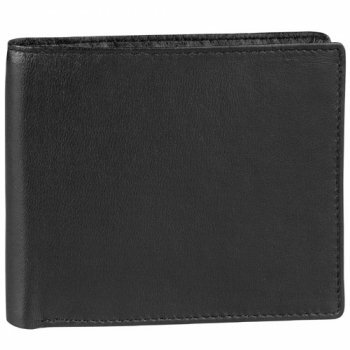 There are 12 credit/debit card holders and there is a slot for your check book behind 6 of the credit card slots. 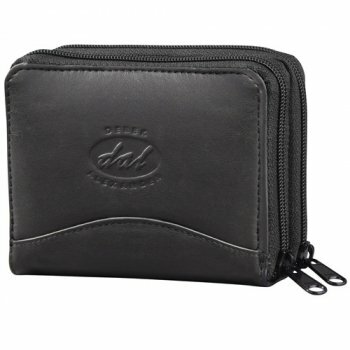 There is a gusseted compartment with a clear slot for important documents such as receipts or pictures of your kids. There is another gusseted slot which can also be used for receipts. There is also a slot for your bills in front of the interior coin zipper pocket. There are 2 clear ID windows good for your license and a bus pass. Behind the picture windows you will find another slot . 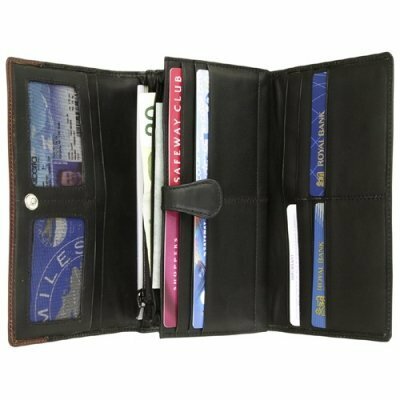 On the exterior of the wallet you will find another smaller coin zipper pocket. 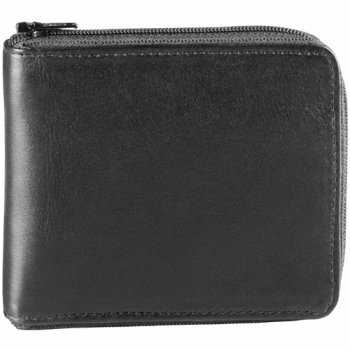 The wallet is kept securely closed with a metal snap closure.